Salmon flesh is generally orange to red, although white-fleshed wild salmon occurs. The natural color of salmon results from carotenoid pigments, largely astaxanthin, but also canthaxanthin, in the flesh. Wild salmon get these carotenoids from eating krill and other tiny shellfish. The vast majority of Atlantic salmon available around the world are farmed (almost 99%), whereas the majority of Pacific salmon are wild-caught (greater than 80%). Canned salmon in the United States is usually wild Pacific catch, though some farmed salmon is available in canned form. Smoked salmon is another popular preparation method, and can either be hot or cold smoked. Lox can refer to either cold-smoked salmon or salmon cured in a brine solution (also called gravlax). Traditional canned salmon includes some skin (which is harmless) and bone (which adds calcium). Serve this simple poached salmon with a salad of boiled new potatoes mixed with cooked green beans, finely chopped red onion, and Dijon mustard vinaigrette. Cook extra salmon for leftovers to make Salmon Fish Cakes. 1) Preheat the oven to 425°F. Place a rack in the center of the oven. Place a flat rack in a large roasting pan. 2) Wash the salmon and pat dry with paper towels. Rub salt and pepper all over and inside the cavity. Lay the salmon on the rack in the roasting pan. Insert the fennel and lemon slices in the cavity of the salmon. Pour enough water in the roasting pan to come just below the rack. Dampen a large piece of crumpled parchment with water, open it, and place it directly over the fish. Cover with foil, securing well around the edge of the roasting pan. 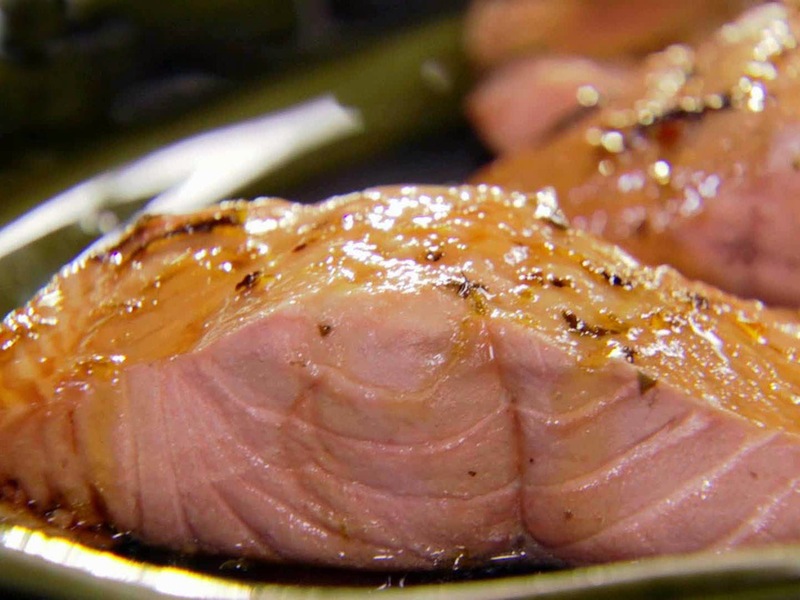 3) Place the salmon in the oven and cook for 25 to 40 minutes until it is just cooked through. Test by inserting a metal skewer into the fish—if it goes through easily, the fish is ready. Using a fork, you can also expose a bit of the flesh to see if the flesh is opaque. Remove from the oven and allow to stand, covered, for 10 minutes. Transfer to a platter with lemon wedges and serve with a salad.